Farmington is a San Juan County city that has 40,000 New Mexicans. Farmington serves as the hub of the Four Corners region and a large producer of natural gas, coal, and oil. A number of historic Native American sites are located within Farmington which borders the Navajo Nation reservation. Farmington plays host to some outstanding lawyers too. Lawyers in Farmington admit many different kinds of cases, some regular examples consist of bankruptcy, immigration, personal injury, DUI, wrongful termination, and probate cases. Recently in Farmington, Ladell Ranford O’Connell was arrested while driving a stolen car and was booked into the San Juan County Jail on suspicion of car theft. O’Connell was being investigated in connection with a knife hold-up at Durango Joe’s Coffee Drive Thru when officers ran the license plate of the car he was driving and found out it was stolen. Eight cars have been stolen in Durango and officers said that they expect their investigation will show O’Connell’s involvement. If you have pending criminal charges in Farmington, you will probably be visiting an 11th Judicial District Court near Farmington. 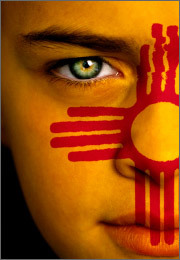 District Courts in New Mexico retain special jurisdiction over mental health, civil appeals, felony cases, criminal appeals, and juvenile cases. District courts also handle civil, family, probate, real property, tort, and others. Consulting a reputable Farmington lawyer could give you the advantage in your case. LegalMatch prescreens all their lawyers to make sure they are in good standing with the New Mexico State Bar Association, provides reviews form past clients, availability schedules, and prices. LegalMatch’s services are all free. You may also want to check out the Forums which cover almost every legal topic as well as the tips section to learn more about how to select a lawyer.